I started studying Karate in 1979 with the masters Gianni Mosconi, Ezio Salandri and Yutaka Toyama sensei, a scholar of the founder and Grandmaster Hironori Ohtsuka. In 1984 I received my first black belt from the hands of Toyama sensei himself. Then I continued studying in the Stefano Silvagni’s and in the Paolo Gasbarri’s dojo. 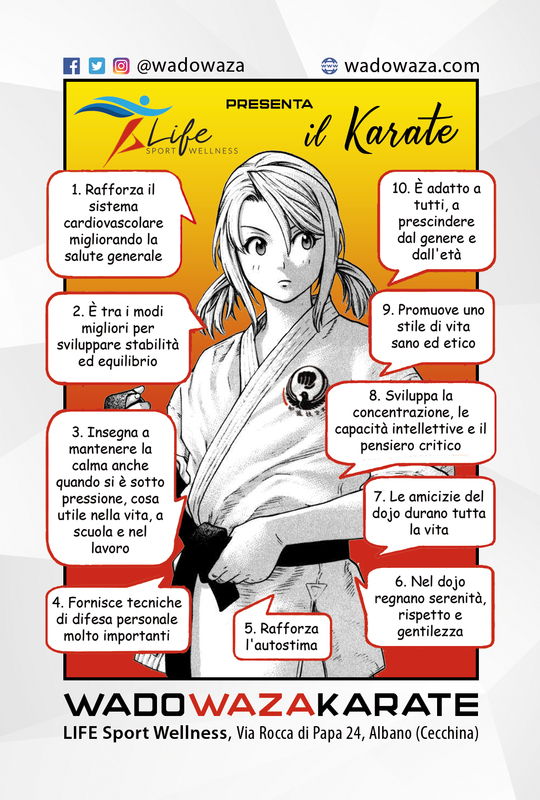 In 2015, after meeting Roberto Danubio sensei and the masters Maurizio Paradisi and Giuseppe Carloni, impressed by the quality of the karate they proposed, I joined the WKSI – Wadokai Karatedo Shingitai Italia, branch of the JKF Wadokai, the largest international organization of Wado-ryu, founded in the 1930s by Hironori Otsuka. “I believe that you can’t be a Budo person if you are not a thinking person. So, my personal approach aims to encourage people to a self-reflection and understanding of our discipline and all of its implications, both practical and philosophical. Just to get a little closer to those harmony and union between mind and body, ability and spirit, that is the ultimate goal of the martial art and that Hironori Ohtsuka set as name and foundation of this beautiful way to reach for the self-knowledge traveling the path of Karate. Always keeping in mind the ancient Japanese Budo motto: 心 技 体, Shin Gi Tai. Spirit, skill and body should always run together”.